I'm a writer, teacher, mother, and bohemian gardener. I create worlds, plant dreams, and light the fire within. It’s the beginning of the school year, and this one got away from me. Totally forgot to post the link here. Talk about the need to Roll With It. It was a faulty sensor that caused the fire department to show up during our professional development before the first day of school, but it now appears to have been a sign of other fires needing to be put out- the metaphorical kind. Teachers, here’s to you! Check out the monthly blog post, Roll With It. I started this post as a mini rant about how teachers don’t really have the summer off and we aren’t paid for it and we struggle to come back to increasing demands and decreasing reward. But I deleted that. It’s all true, but it’s not what today and tomorrow are about. There are two days left of my summer and I am going to make them actual summer days. Doing what I want outside in my garden as long as I can stand it. Working on my novel because I love it and I am an author, after all. Maybe even a trip to the neighborhood pool with my little one. Absolutely no school work. None. Enough of my summer “break” has been spent doing that. Today and tomorrow are all mine. Will it cure the End of Summer Blues? Nope. Not a chance. But that’s ok.
Teachers, you’re incredible. Teacher spouses, so are you. Don’t let anyone make you feel differently. Take time for yourself so that you can shine. Here’s a little bee-hind to make you smile today. Check out my monthly post on the Pandamoon blog here. What projects have you come back to? What has helped you make them better? Walking around the French Quarter in New Orleans it’s easy to feel like you’ve stepped into another world, which is one of the many reasons it inspires my novels. It’s a city unlike any other. There are so many things that make the place unique, like the food and the people. But one of the most striking things in the city is the architecture. Here is where the history of the city really unfolds. French and Spanish influences collide here. Buildings surrounding you as you walk can be hundreds of years old, depending on whether or not they survived the couple of fires that swept the city early on. Construction techniques have a lot to do with the longevity of the buildings: cypress wood, brick, and stucco sealing the brick. Some buildings are more “cabin” looking, while others are multi-story ironwork laced mansions. Entresols, a shorter hidden story between the bottom floor and the second floor, were often used as an attic. But wait, aren’t attics on top? Not in old New Orleans. The temps would climb too high in a traditional attic and things would get ruined. So, the entresol was a bit more insulated by the rest of the structure making it great for storage (or nefarious activities of a particular pharmacist way back). Another feature you may notice are the porte cocheres, the larger or double doors that lead from the inner courtyard to the street. Here’s where the carriages would go in and out, like a driveway. Hey, they had to park them somewhere, right? On the backside of the courtyards were often a garcionnere, a building that males over the age of 15 lived in because who really wants to be around a stinky teenage boy all the time? (Ok, not really the reason.) And of course, there are the galleries, the ironwork balconies that give shade to the banquettes (sidewalks) below. We even have one funky cornstalk fence that has a sibling in the Garden District. One of the twin Pontalba Buildings that flank Jackson Square. built by the indomitable Baroness de Pontalba, Micaela Almonester, who had a lot to do with the Cabildo, cathedral, and Presbytere, too. This house on St. Ann sits in the spot that was once occupied by Marie Laveau’s house before it burned down following her death. I guess even the house couldn’t stand to be without her. Bourbon Street isn’t all bars. There’s some gorgeousness if you walk far enough. Fun Fact! Bourbon Street wasn’t named for the alcohol. It was named for the House of Bourbon, a French royal dynasty. French Quarter or European castle? French Quarter! Royal Street may be my favorite street. And since it was the path I took to catch the streetcar back to the Garden District, I got to spend a lot of time on Royal. There are so many more photos I could post here, but these are some of my favorites. I can’t wait to be back down to spend some more time with this eclectic and beautiful city! Crescent City Moon Launch News! I’m so excited to be able to share a little bit of news with y’all about the launch of Crescent City Moon! Be on the look out for it in Spring 2019. What else happens in the spring? Allergies. Right. But more importantly, that’s Mardi Gras season! I mean, if we’re going to celebrate something, let’s do it all at once like only NOLA can! In the meantime, look for updates and other fun things along the way! Today, I had the pleasure of writing the featured blog post for Pandamoon Publishing, Know What You Write. 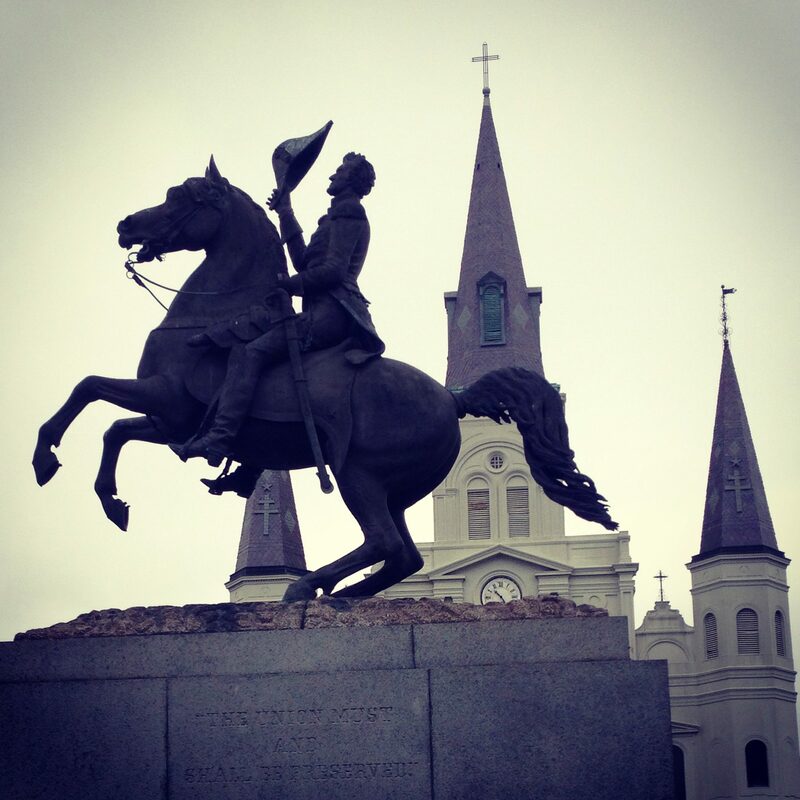 It’s something near and dear to my heart in several ways: writing, and New Orleans. And, a great way to get to know me as an author! Check it out!